Rati Mehrotra’s debut novel, Markswoman, is the first book in a duology set in the world of Asiana, a post-apocalyptic Asia in which Orders of Peace uphold justice throughout the land. This book primarily follows Kyra, a nineteen-year-old belonging to the Order of Kali, as she learns more about herself, her world, and being a Markswoman while honing her abilities so she can avenge her mentor. Though it can be entertaining and has a likable main protagonist, I did ultimately feel that prophecies and mysterious instructions were overused as a means of driving the plot and Kyra’s actions—and if I do read the next book, it will not be because of a desire to find out how the cliffhanger ending resolves but because I want to explore more of the fascinating world Rati Mehrotra has created. Centuries ago, the Great War poisoned the earth and water and changed the world forever. Out of the death and destruction left in its wake was born the Order of Kali, a group of women wielding blades forged from a telepathic metal that the Ones had brought from the stars. Only these Markswomen could lawfully take a life, and they only killed those guilty of the worst crimes in order to maintain harmony. Approximately 850 years after this system was first conceived, five Orders of Peace operate throughout Asiana (though, even 400 years after its foundation, some do not consider the newest of these Orders to be valid given that it’s composed of Marksmen). After the murder of the rest of her clan when she was five years old, Kyra was discovered by the Mahimata of the Order of Kali, who became a second mother to her, and trained to become a Markswoman. Fourteen years later, the Mahimata has decided it’s time for Kyra to attempt the final rite of passage for all Markswomen: taking her first life. Though she faces difficulty in completing the task, Kyra succeeds in the end and is promoted from apprentice to Markswoman. However, upheaval in the Order of Kali shortly thereafter forces her to leave it all behind on a quest to follow where the Mahimata leads her—seeking both the good of her Order and vengeance. 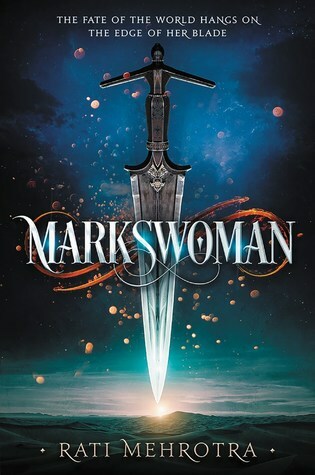 Markswoman has a fantastic premise and world, and the first few chapters are an intriguing introduction to the characters and setting. We first meet Kyra when she’s just found the man who will become her first mark if she passes the test. Though Markswomen are supposed to remain neutral in their pursuit of justice, Kyra has long wished to kill this particular person: the bloodthirsty son of the one who murdered the rest of her clan. However, Kyra quickly learns that her dreams of vengeance did not prepare her for the guilt she feels when she sees the terror in her mark’s eyes, and she hesitates—nearly failing her mission. In the end, Kyra succeeds with the help of her telepathic blade, forged from a special metal brought to the planet by the Ones from the stars. In addition to having been changed by the Great War hundreds of years ago, the world was also shaped by this and other alien technology even older than that, though the Ones have long since returned to their home, and Kyra’s assignment shows some of this influence firsthand. While sneaking out of the camp after completing her task, Kyra hears the telepathic guns that enabled these people to destroy her clan in the first place, calling to her to use them to kill them all for what they did to her family. These weapons were created in an attempt to replicate the metal brought by the ones since they forbade people from using it to create guns, and though they managed to imitate its abilities, it was twisted and evil—and, unfortunately, indestructible. Fortunately for Kyra, her knife helps her resist their temptation, and it also allows her to use the Transport Hubs (another ancient gift from the Ones) to teleport to another Hub closer to the caves of the Order of Kali. After the first couple of chapters about Kyra, we meet the second main character, Rustan. Though the story is primarily about Kyra and told from her third person perspective, there are also a significant number of chapters dedicated to Rustan’s viewpoint (and some about others from the Order of Kali, but not many). Like Kyra, we first see Rustan encountering difficulties in his role as executioner; unlike Kyra, this is not Rustan’s first or even second time killing a mark, although it has been some time since his last. Rustan finds it unusually difficult to ignore this man’s pleas and declarations of his innocence, but he reminds himself this man committed patricide, hardens his heart, and does his duty. However, after he returns to his Order, he learns that the man was telling the truth: he was framed for another’s crime. Both characters started with great potential, and I did find the parallels and contrasts between them interesting. They both end up having reasons to lose faith in their Orders with one being instructed to unjustly take a life and the other encountering betrayal within her Order. Though Kyra hesitated in the very beginning, she is largely steadfast and dedicated: she may no longer have faith in some individuals within her Order, but she continues to believe in the Order herself, the goddess Kali, and her teacher. Rustan, on the other hand, goes from being dutiful to struggling with his role: though he never completely gives up, he does sometimes try to run from his problems or, at the very least, considers doing so. Despite being able to appreciate the world and character arcs as a whole, I did feel that the novel was hindered by its reliance on prophecy to drive the plot and Kyra’s actions. The Mahimata of the Order of Kali and the seer of Rustan’s Order of Khur both appear to have some knowledge of the future—when it’s convenient, such as the seer not realizing the man sentenced for patricide was innocent until after it was too late—and how they want it to play out. I ended up feeling as though the plot progression was following a cryptic instruction manual since Kyra’s larger actions were driven by secretive messages and lessons that will become useful later. This was frustrating to me because this manipulation was not at all subtle, keeping the story from unfolding naturally, and it also prevented Kyra from being a fully developed character in her own right when so much of what she did was influenced by others pointing her in a specific direction. Of course, she does have a choice about whether to follow a path or ignore it, and the fact that she so easily follows her teacher shows the trust and reverence she has for her, plus Kyra is clearly shown to be courageous and determined. However, having Kyra follow a course directed by others prevents us from learning which choices she’d make if left to her own devices and doesn’t allow us to see the full breadth of her personality—and frankly, makes the story less exciting. My biggest issue was that this kept the characters from fully coming to life, but I also found the romantic subplots rather lackluster. Kyra’s journey takes her to the Order of Khur where she’s relentlessly pursued by a young Marksman who refuses to accept that she just wants to be friends, and of course, she and Rustan are attracted to each other. Rustan is charged with training Kyra in their ways of fighting (I did really like that each Order had different beliefs and ways of doing things), and there’s not a lot showing the development of those feelings before each of their thoughts are consumed with dreams of kissing the other. Though it’s not unrealistic since they did spend a lot of time together, I do prefer to read about relationships that show why two people are drawn together instead of seeming as though they are drawn together because they’re the two main characters (or because one of them doesn’t know any other women). Markswoman is not at all a complete story so perhaps the second installment will address some of the problems I had, but as it is, I found it lagged at times after a strong beginning. 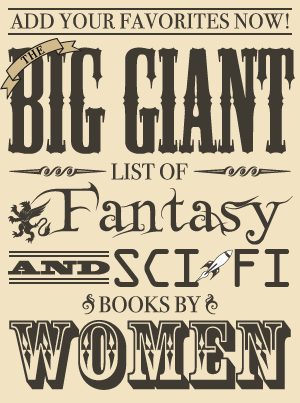 The world is spectacular—my favorite parts were the brief sections between each part containing records of the Orders and world history—but the mechanical plot devices held back the characters and story. Though it was entertaining enough to finish reading, the setting was the only aspect that I found memorable—and if I do read the next book, it will mainly be because I want to spend more time in Asiana with its rich history and variety of Orders of Peace.